"Welcome to the Beautiful Community of Citrus Glen"
Back in the late 1980's a Developer/Builder by the name of Felix Granados, Jr. had a vision of a Single Family Home Community that offered a variety of well built homes that would be surrounded by beautiful landscape and offered a full array of amenities. In 1988 Citrus Glen was started. 20+ years later, Citrus Glen is more beautiful now than it was when it was first built. The landscape has grown and gets more beautiful as each day goes by. The community is full of wonderful residents that makes Citrus Glen a great place to live. 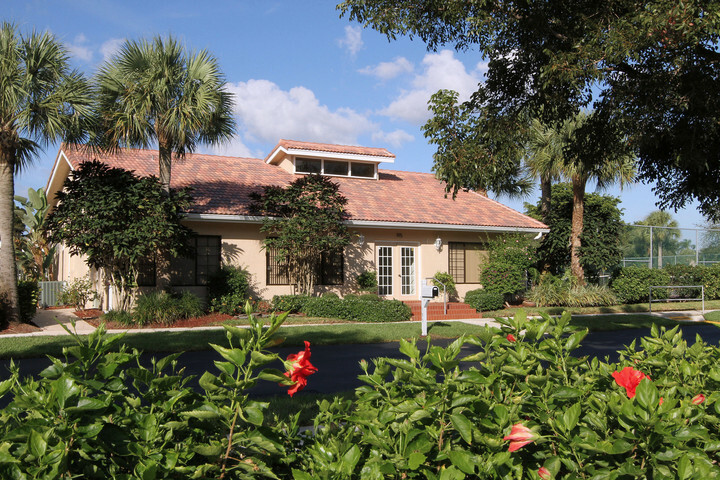 The Board of Directors of the Executive Estates of Boynton Beach Homeowners Association is committed to its residents to provide a Peaceful, Safe and Secure Community that is well maintained. Don't take our word for it, come by and visit Citrus Glen for yourself. Make sure you have arranged for access in advance as Citrus Glen is a Gated Community and protected by our state of the art Envera Virtual Gate Guard System. Upon your arrival, a live guard will greet you and verify you have authorized access. Once access is granted, you will immediately start to notice why Citrus Glen is known as a "Little Slice of Paradise". Citrus Glen is located in Boynton Beach, Florida and is close to Public Schools, a large variety of Restaurants and Shopping Centers and just a 10 minute ride to the Beach. Inside Citrus Glen you will find lighted Tennis Courts, a Heated Community Pool and Spa for year round use and a Clubhouse that you can use for Family Parties, Weddings or just sitting down with friends to enjoy a Card Game. There is also a small fitness room where you can take advantage of the Workout Equipment. We have a Property Manager that is available 24x7 and is onsite Tuesdays and Thursdays from 9:00am to 11:00am. He can be reached by calling 561-742-9604.